Have you ever wanted to invite your friends over for a festive fall meal, but felt that your culinary abilities weren’t up to par? Well, never fear, as the artisans of Pike Place Market are here! This autumn, a select group of Market heavyweights will give presentations at an event called Behind the Table, where they’ll showcase the processes and preparations which make their dining tables sparkle. 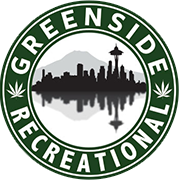 Obviously, nothing will make their delicious presentations more magical than a little marijuana, so make sure to stop by Greenside Recreational on the way downtown. It’s only 20 minutes away, and our prices make the short jaunt well worth it! With its high ceilings and plenty of natural light, the Atrium Loft is the perfect setting for the event, and there will be tons of activities for budding gourmands experience. Along with dinner and live entertainment, there will also be a silent auction. Now, if you’re determine to win a specific specialty food item, we recommend smoking a Sativa G-Stik from Greenside Lake City with friends beforehand. This potent strain will ensure you whip your paddle into the air lickety-split when it’s time to bid. To stay ultra-focused on the presenter and class at hand, try a well balanced sativa hybrid. Greenside likes Ethos Innovates ‘Awake’ Tincture, which contains Green Tea Extract to energize, and THC to help project your energy toward a single task. These tinctures are made with full-flower—or “nug run”—CO2 cannabis concentrate. That means this oil was made using full buds as opposed to trim or shake, and everyone from seasoned stoners to relative newbies will be able to tell the difference immediately. For something extremely discreet and easily transported, pop an infused Original Mint by HONU Edibles . These breath-freshening edibles are the perfect kick, especially after a coffee from somewhere close by like Storyville Cafe , which has been serving up some of Seattle’s most delicious coffee since 2006. After your bean-water boost, you’re be more than ready to head to the Atrium Loft and learn how to craft a harvest dinner like a gourmet chef. More info on Pike Place Market’s Behind the Table, can be found on the event’s official website. Don’t miss this chance to change up your holiday game plan!